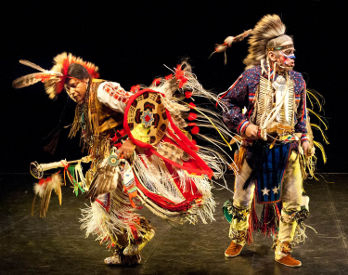 Through the rhythms and movements of authentic traditional Iroguois dances and songs the Thunderbird American Indian Dancers invite students to discover the rich cultural legacies alive among today's Native Americans. Students will learn about the clothing musical instruments and customs of many tribes. Seating 995 in a continental pattern that affords an excellent view of the stage from any seat in the house. No gum, food or drinks are allowed in the auditorium. Photography of any kind is prohibited. There are no lunch facilities available. No picnic lunches allowed on the grounds.